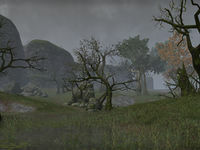 The Cambray Hills are the central region of Glenumbra. 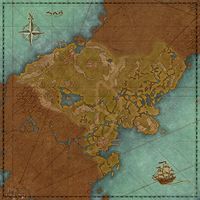 Their southern border runs diagonally, south of Westtry and Aldcroft, while the northern border passes north of Eagle's Brook and Camlorn, and up just north of the Dwynnarth Ruins in the east. The Cambray Hills Dolmen lies north of Aldcroft in the eastern portion. It is bordered on the north by the King's Guard region and on the south by Daenia. ​ Faolchu's Bane 5 Defeat Faolchu the Changeling and set the city of Camlorn free. This page was last modified on 30 October 2018, at 01:53.